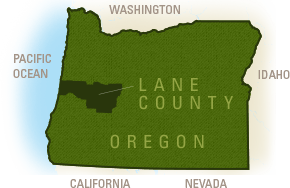 From breathtaking natural beauty, countless recreational opportunities and unique activities and art, Lane County and Eugene have many things to offer visitors. People come from all over to experience a bit of the Pacific Northwest here in Eugene. One thing that many visitors do not expect when flying to Eugene is the convenience of its local airport. 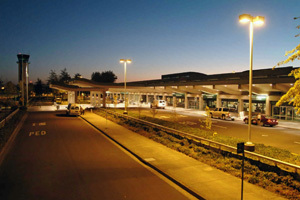 The Eugene Airport (EUG) is the second largest airport in Oregon, and fifth largest in the Pacific Northwest. While it is relatively small in size, it makes up for it in amenities. Two new airlines were added in 2013, bringing the total to six airlines that fly non-stop from 10 major cities, including Los Angeles, Portland and San Francisco. 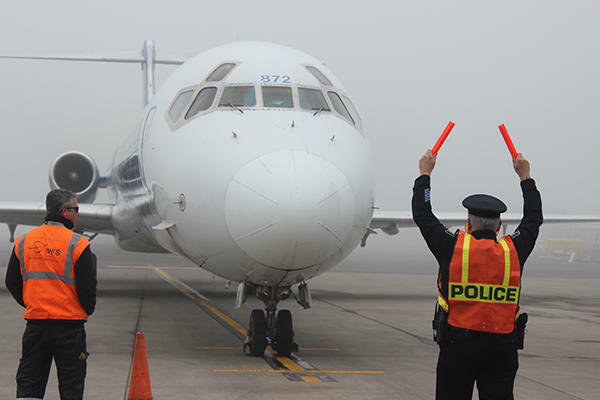 The airport services about 168 arrival flights weekly, making travel easy and accommodating to different schedules. Six major car rental companies are on-site, allowing passengers to quickly choose a vehicle as they move onto their next destination. Curbside taxis and courtesy shuttles to area hotels and conference centers continue to make travel as smooth as possible for visitors. Ample short and long-term parking is available at a fraction of the cost of larger airports. The Eugene Airport serviced more than 780,000 passengers in 2011, and 80 percent of those said that they spent five minutes or less at TSA screening. In addition, more than 50 percent of travelers spent less than five minutes at check-in and at baggage claim, for a score of 4.57 out of 5 for airport services. A $5 million terminal lobby remodel and security-screening upgrade that was funded in part by a grant from the TSA was completed in March 2014. Passengers will be better served by the installation of a state-of-the-art inline baggage screening system, which makes the screening process faster while improving security. The lobby received new ticket counters, back wall treatments, and video monitors that will be eventually be integrated into a new display system for flight information that will be easier to read. In addition to the agent positions, the addition of more self-check-in stations at the new kiosk-style ticket counters is designed to streamline the check-in process as the airport manages more passengers each year. More people are including the Eugene Airport in part of their travel plans, as 863,000 walked through its doors in 2013 (up 6.7 percent from 2012) which made it the third record year in a row. Delegates, conventions and meeting staff, and anyone visiting will enjoy the convenience and cost effectiveness of flying through Eugene. 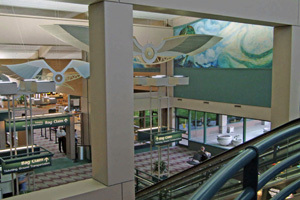 Located just 15 minutes from downtown and convention hotels, the Eugene Airport makes traveling to Lane County a pleasurable and easy experience. 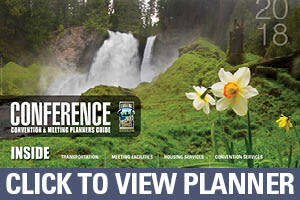 Make Eugene your next travel destination, and Fly EUG!